November 2018 - KB Concepts P.R. This post has been updated from one that first appeared in the Arlington Chamber of Commerce blog. As Arlington celebrates the news that Amazon will locate one half of its new corporate headquarters in our community, we also celebrate Small Business Saturday on November 24. And while there are many plusses to the online shopping behemoth choosing Arlington for its new home, supporting our local small businesses is also hugely important to the health and vibrancy of our community. According to the National Association of Women Business Owners (NAWBO), women own more than 11.6 million businesses in the U.S., employing nearly 9 million people and generating $1.7 trillion in sales as of 2017. 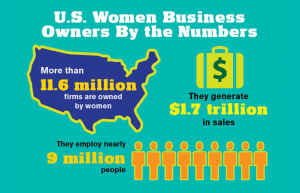 One in five firms with $1 million or more in revenue is woman-owned. Women now make up 40 percent of new entrepreneurs, and Arlington County seems to be right on trend. The Arlington chapter of Awesome Women Entrepreneurs (AWE) has 150+ awesome members who all own and operate businesses here in our community, and many are active members of the Chamber of Commerce as well. AWE member businesses range from One More Page Books, which President Obama famously visited on Small Business Saturday with his daughters while in office, to Chamber Best Business Award winners BbG Fitness, Clarendon Animal Care, and Design TLC, along with boutiques, restaurants, lawyers, inventors, graphic/interior/floral designers, app developers and other start-ups. Sizes range from 100+ employees to home-based solo practices and everything in between. 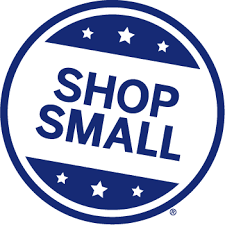 The annual spotlight that Small Business Saturday shines on local businesses is much appreciated. While we rightfully celebrate attracting larger companies like Amazon to our community, it’s these small, locally owned and independent companies that give Arlington its unique personality, and make employees of the bigger companies want to live and work here. Local women business owners, like many Chamber members, also form the backbone of our community. In addition to being busy entrepreneurs, they volunteer at their children’s schools, sit on local boards and committees, raise funds for countless good causes, and even run for political office. In addition to hiring locally, the money people spend in their shops stays in our community, unlike the money spent at large chain stores. As the holiday season begins, make a point of supporting local businesses on Small Business Saturday – and all year long. It’s great for business and great for Arlington.